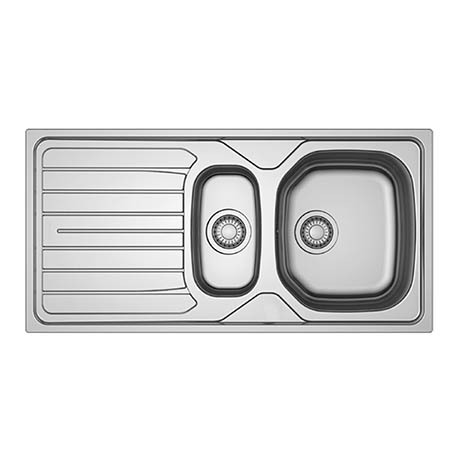 This 1.5 bowl single drainer kitchen sink is a reversible inset kitchen sink suitable for commercial use. Made from high grade 0.6mm thick stainless steel. The sink comes with a single tap hole and has an integrated waste and overflow.